From a legal perspective, joint account holders share equal ownership of the account. Each party can make deposits and withdrawals without permission from the co-owner. As a result, you can close your joint account even if your spouse isn't present. Some banks, however, will only close an account that has a zero balance. In most cases, a spouse can close a joint account even if the other party isn't present. Some banks refuse to close joint accounts unless they're empty. To make closing the account easier, you or your spouse should move your money out of your joint account before attempting to close it. What you do with the money is up to you. You may place the money in a savings account, use it to start a new account or just take the cash. It's your money to do with as you please, but exercise caution if a divorce is pending. Although you own the money as a joint-account holder, you should never close or empty a joint account and put the money in your name alone in an effort to hide it or claim it for yourself without permission from the court. It's possible to close a bank account online, over the phone or through the mail, but these closures are the exception. Most banks require you to appear in person when closing a bank account. 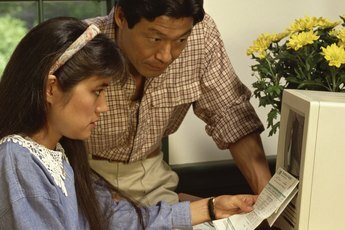 Your spouse or other co-owners of the account don't have to come with you, but one of you will need to physically go to the bank. Expect the bank to request a valid photo identification before closing the account. Co-owners on a joint account have equal access to account funds, but they also share equally in debts. If your joint account has a negative balance thanks to a bounced check, for example, you'll have to bring the account back up to a zero balance before closing it. The same holds true if you miscalculate. Say, for instance, that you close a joint checking account and then realize that there was a check outstanding. When presented with the now-invalid check, your bank may charge you a fee. If so, you and your spouse are both liable, and the bank can go after both of you, even if you're not together anymore. Keep in mind that the rules are different for joint debt accounts. Closing a joint asset account, such as a checking or money market account, is easy. Closing debt accounts at your bank, like a mortgage or car loan account, is a different story. Some banks don't close debt accounts until you pay them in full. Others may only do a type of soft close. 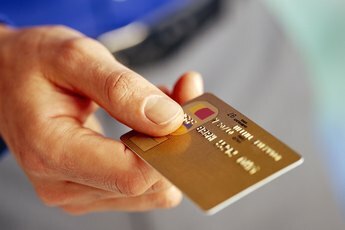 Your bank may, for example, stop accepting new charges on your credit card but not fully close the account until you satisfy the outstanding balance. 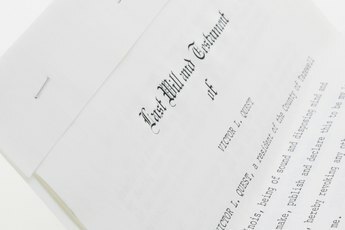 Debt accounts become of particular concern during a divorce. If you and your spouse buy a home together, both of your names are likely on the mortgage. If you divorce and your spouse is keeping the house, you'll likely want your name off the mortgage account. The only way to do this is to have your spouse refinance and get her own mortgage. You can't simply go to the bank and close the joint account or remove your name from it. Car loans and other debts work the same way. Consumer Financial Protection Bureau: I Have a Joint Checking Account. The Other Person Closed the Account Without Telling Me. Is That Allowed?